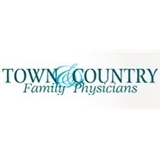 Town & Country Family Physicians (Houston) - Book Appointment Online! Town and Country Family Physicians are committed to providing patients with convenient access to high-quality healthcare. We believe that providing high-quality care is not only about the medical advice we dispense, but more importantly about the relationships we have with our patients. We continue to strive to be a leader in innovative medical practices. Town and Country Family Physicians was started in 2003 to provide care for the residents of Houston and surrounding areas. Thanks to our supportive patients, we have been able to grow our practice to three physicians and a nurse practitioner who serve thousands of patients in Houston area. Very impressed, calming effect being a new patient. The entire office staff was fabulous. Can't wait to see them again. Dr. Jackson is wonderful. He really listened to me and addressed all of my concerns.